The leadership team at JBM Technologies believes that Manufacturing in America is vital to the health of our economy and our future as a truly independent nation. We as a company recognize that the manufacturing industry can’t just grow on its own, that resources must be devoted to it and that the future leaders of the manufacturing industry need to be trained and educated. JBM Technologies has always given back to the community, and we are especially proud of our involvement in educating the future leaders of manufacturing at Bucks County Community College in Newtown, PA. Beyond donating a machine to the school for training, JBM Technologies President John Watkins has been named to a special board at the school that helps give guidance on curriculum and promotes the need for resources. 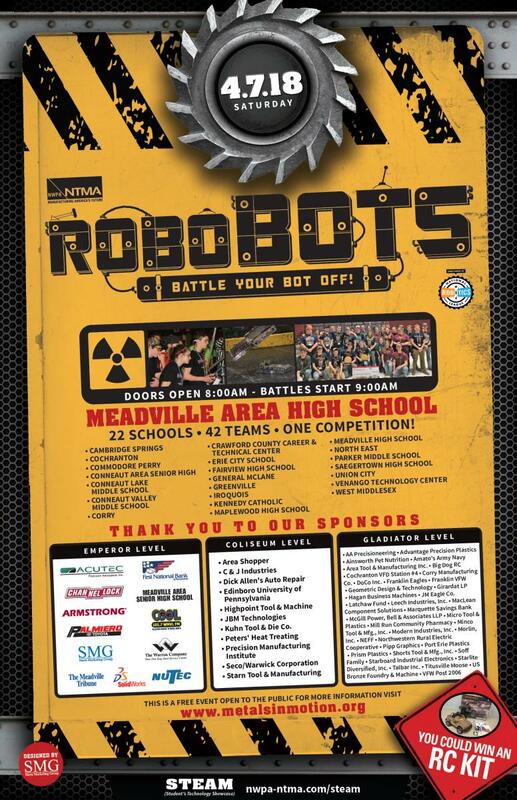 JBM Technologies sponsors Robobots in Northwest Pennsylvania. Our Cochranton division is made available to Cochranton High School for the building of their Robobots, along with the help of our engineers. RoboBots is an educational program created by the producers of the wildly successful BattleBots television series (in which homemade, remote controlled robots face-off in competition). As the television show grew in popularity, so did the number of student fans who wanted to build competitive robots of their own. It soon became evident that this activity, the sport of robots in competition, had the unique potential to impact middle school, high school and college students in a powerful and positive way. Through the process of robot building, student's imaginations are captured as they design, build and compete with their own robotic creations; and through this hands-on effort students gain practical knowledge of math, science, engineering and manufacturing. The National Tooling and Machining Association (NTMA) and Precision Metalforming Association (PMA) joined forces in 2008 to create "One Voice", the combined federal government advocacy program representing small and medium sized businesses manufacturing in America. The associations created this joint advocacy program to give a voice to the millions of middle market manufacturing companies and employees in the country who supply tooling, components, and other manufactured products to Original Equipment Manufacturers and their Tier I and Tier II suppliers. 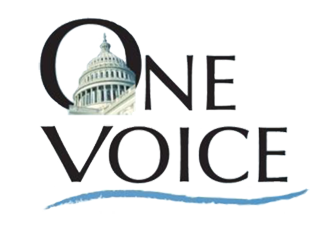 One Voice has a combined total of roughly 3,000 member manufacturing companies and is designed to promote U.S. government policies that will ensure a strong manufacturing sector in the United States. The majority of member companies are family-owned small businesses, two-thirds of which are structured as a Sub-Chapter S Corporation or similar pass-through entity, paying taxes at individual rates. Nearly 75% of members report they currently have at least one job opening in their manufacturing plants, with 98% of members reporting that they expect challenges recruiting younger workers. A total of 63 exhibitors participated in the Exhibit Hall. Another 2,180 people registered to attend the event, representing 36 schools, including: 11 middle schools, 22 high schools and three secondary education schools. Of those who registered, 2,118 arrived via buses or vans. The remaining 62 arrived via other means. The following represents attendance at the breakout sessions that took place from 9 a.m. - 1 p.m.
We had 163 guests download the MFG Day app on their devices. Of those, 51 of the students provided feedback on their experience via the app. In response to two questions in particular: 94 percent reported that "MFG Day 2016 changed their perception of manufacturing," while 75 percent indicated that "MFG Day 2016 has motivated them to pursue a career in manufacturing." We also had 21 teachers/chaperones provide feedback on their views of the event. We are pleased to share that 100 percent believed that "After attending MFG Day, they are more likely to encourage students to pursue a career in manufacturing." Additionally, 86 percent were "Very Likely" and 10 percent "Somewhat Likely" to "tell friends, family and colleagues about MFG Day 2016 after attending the event."